While me and my husband appreciate Mixology more as an art and presentation than the drink itself, we still love the idea of having a fully stocked bar to entertain guests when we host dinner parties at our place. Quite frankly, making a good drink can be intimidating, but the idea of garnishing drinks and the presentation delights me. Couple of years ago, when my husband developed the hobby of mixing drinks I always enjoyed doing all the prep work. Yesterday, to celebrate the first day of autumn after a rather tiring day, I tried mixing a crushed grape cocktail sticking to simple ratios. 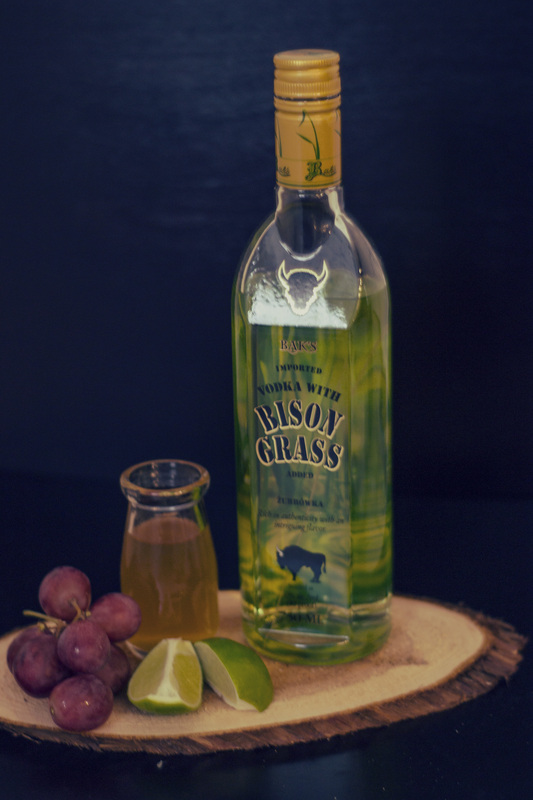 Using ingredients similar to a Concord Crush, I created a variation swapping a regular vodka with Bison Grass Vodka, simple syrup with Demerara syrup (personal favorite) and concord grapes with red grapes. Though my husband was not fully convinced with me using the ugly looking ice cubes in lieu of cocktail ice cubes he very much appreciated the perfect balance of flavors. 1/4 Ounce Freshly Squeezed Lime Juice. 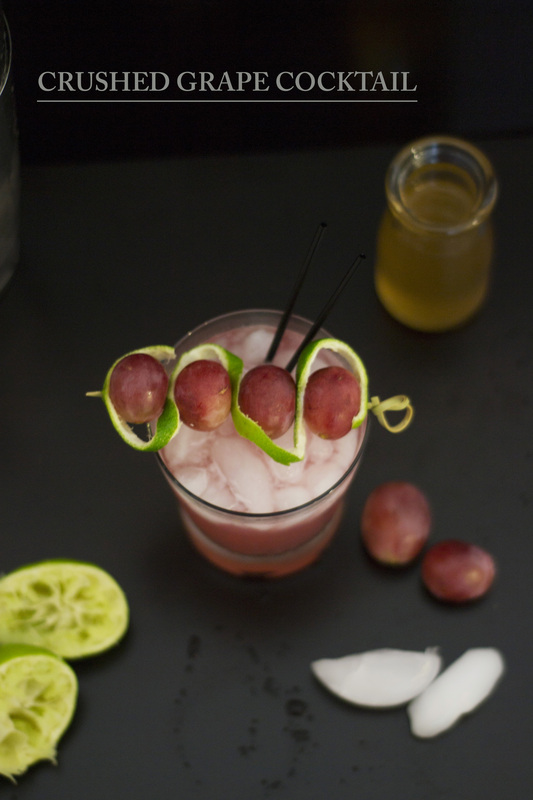 Puree grapes in blender with 1/4 ounce lime juice (to prevent browning). Blend to completely purée the grapes. Strain the purée through a fine-mesh strainer, pushing it through with the back of a ladle. Fill a cocktail shaker with ice. 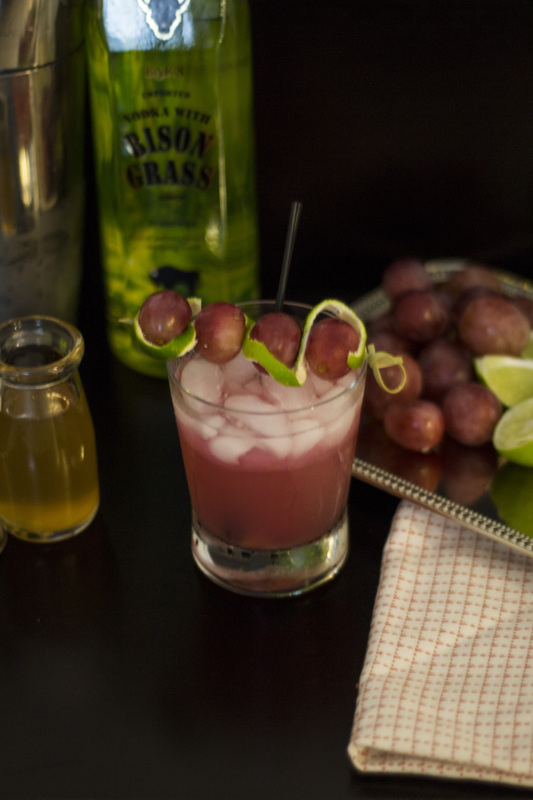 Add vodka, grape puree, lime juice and demerara syrup. Shake vigorously and pour contents of shaker into an old-fashioned glass without straining. * Try Soda water for non alcoholic substitution to Vodka.